Did you know that the average person makes over 3,000 decisions a day? Everything from our choice of hairstyle to what we should eat for breakfast involves making some type of decision. There are various levels of decision making, small decisions such as taking the stairs versus the elevator or bigger ones, such as choosing which college to go to or career path to take. For many, making hard decisions can be overwhelming. The fear of making the wrong decision can leave many feeling emotions of guilt or regret. Whenever I am faced with a difficult decision, I think back to my dear friend Kate. In high school, Kate always had big dreams of becoming the first female president of the United States. But unfortunately, at the time, Kate was about 35 years too young and lacked the political experience, so the next best thing was running for student body president. Kate would be the first female to ever hold this position at our small suburban high school. When the day of the of the election arrived, tensions were high, as the Principal opened the crumbled, white piece of paper to announce the next student body president. To what seemed like it took an eternity, he finally uttered the word . . . KATE! The crowd cheered in excited and Kate burst into tears as she confidently stepped up to the wooden podium and began reciting her acceptance speech. The next morning Kate and I walked gleefully through the halls as we talked about all the great things that she would achieve in her new role. Our excitement quickly turned to dismay as we saw dozens of Kate’s posters thrown to the ground and ripped to shreds. Her locker covered in graffiti. It seemed as if many of the students did not agree with a woman taking the role of student body president. Kate’s eyes began to water as the look of defeat came swiftly across her face. Throughout, the rest of the day, Kate stayed very quiet, for she knew that she would have a tough decision to make as to how to handle the situation. Even at just 15, I can remember Kate’s great poise and grace throughout the day. She never once uttered a word of anger or revenge. Many wondered, why she was not taking more drastic actions. “Get them expelled?”, some said. “Graffiti their lockers!”, others added. But Kate remained calm and quiet. The next day at the assembly, Kate walked slowly up to the podium. Her hands quivering, as giant beads of sweat poured from her head. She took a deep breath and then grabbed the microphone with confidence. She uttered, “You may encounter many defeats but we must not be defeated. Dr. Maya Angelou”. This story has stayed with me throughout my adolescence and into my adulthood. I thought to myself, how much strength it took for Kate not to react in a demeaning or unclassy way. What qualities did Kate have in her decision making that many others lacked? The difference between Kate and many others was simple. It boiled down to a decision. Kate decided not to react the way her culprits anticipated, more so, she caught them off guard by not reacting to the situation but simply using it as a stepping to further elaborate on her platform of ‘togetherness’. At times, we may tend to rush or overthink our decisions, simply because we want to get the decision over with and move on with our lives. Sometimes, when we are ‘too close’ to the situation or problem, our view becomes skewed and we may develop a bias opinion. We may end up making a decision based off of emotions rather than taking into account all of the facts. It is important, to sometimes ‘step away’ from the issue or problem at hand, to really process and take all of the details into account before making an important decision. This may take anywhere from a few hours to sometimes a few days. With hard or life-changing decisions, such as job relocation or deciding which career path to take, it may be beneficial to reach out to parents, family, close friends or mentors for advice on dealing the with the situation and decision. Sometimes, asking for advice from a person that is not so close to the situation may help you to see the situation through a new pair of lenses. 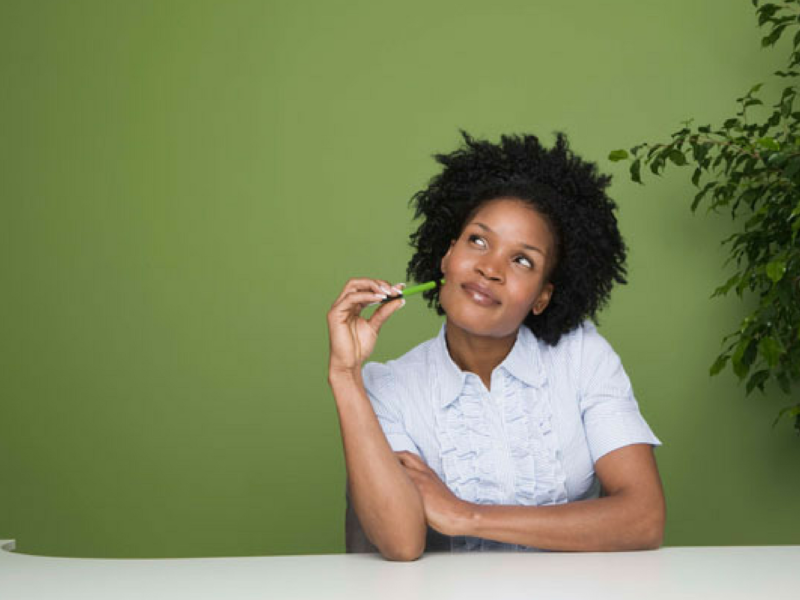 It may be helpful to write a list of possible outcomes regarding your decision. Sometimes, seeing the possible outcomes in front of you, as opposed to constantly racking your brain with them, can help determine a better option. The truth is that we can never truly know what the outcome of our decisions will be. The best thing to do is trust your instincts! Be confident in whichever decision you make and think positively of the outcome. Making difficult decisions is not always easy, but it is part of life. Remember, that YOU ARE capable of making good, positive and healthy decisions. Shannan Dione Burrell was born in Heidelberg, Germany. Growing up, she thrived in the areas of performing arts, participating in dance, theater, and music. She received her Bachelor of Arts degree in Broadcast Journalism from Hampton University, Hampton, Virginia, in 2010 and is currently pursuing her Master’s degree in Film and Video at American University, Washington D.C., where she is scheduled to graduate May of 2017. Shannan has always had a passion for volunteering and helping others within her community. She has been an active member of her church Emmanuel AME Church in Fredericksburg, Virginia. Throughout her years at Emmanuel, she has participated in numerous ministries including the Praise Dance Ministry, Young Adult Ministry, Youth Ministry, and Women’s Ministry. Shannan grew up a member of the Girl Scouts of America organization. Her 12 years as a Girl Scout prepared her to become an effective volunteer within the community and a role model for young women. Shannan is currently volunteering with the Best Kids mentoring program in Washington, D.C., which specializes in mentoring inner city youth and foster children. Shannan also has a passion and vison for storytelling through media. 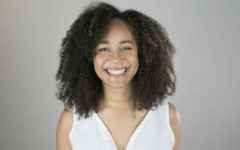 She has over 10 years of experience within the media field, which includes numerous internships with companies including Arena Stage Theater in Washington D.C., The Ft. Belvoir Eagle Newspaper in Ft. Belvoir, Virginia, Clear Channel Communications in Rockville, Maryland and Gannett/USA Today in McLean, Virginia. Her many years of experience have prompted her to write, direct, and produce over 15 original productions for her church and community. Shannan’s mentors and role models are that of her family, church family, and fellow aspiring African American women in the media field such as Ava DuVernay and Oprah Winfrey, who have worked at paving the way for minority storytellers within the entertainment industry. Shannan hopes one day to open up a production company for minorities, which will inspire, motivate, and empower them to follow their passions through the arts. Shannan’s favorite scripture is Philippians 4:13 “I can do all things through Christ who strengthens me.” She credits this verse for inspiring her to overcome all obstacles within her life and to work hard to succeed and excel at being a good role model for young women within her church and community.